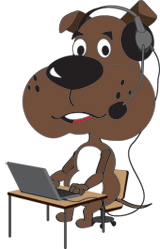 Home Mr Dog Poop website home page introducing people to the company, services and the dog poop industry. Our DNA Lab Tour Mr Dog Poop's DNA lab, see the equipment and learn about the Dog Poop DNA matching process. Prices A list of prices for dog poop DNA testing. 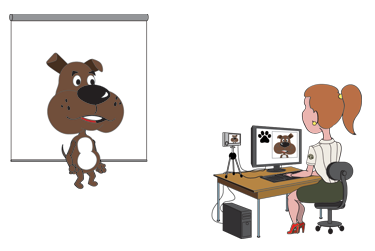 Mr Dog Poop Videos Watch promotional videos, help videos and demonstrations of our products and services. DOGdex ID Program DOGdex ID couples DNA profiles with regular dog registrations to solve the problem of more than 1 millon dogs being euthanized each year because they cannot be identified and returned to their owners. Crime Lab An inexpensive program for apartment complexes, condo associations etc to enforce their pooper scooper rules by determining who left the poop based on DNA matching. The Store Shop for pet products, dog food, DNA kits or services and order now. Yard cleanup customers get FREE delivery!. Client Login Login to manage your account, scheduling, update services or manage your pet profiles. Frequently Asked Questions Answers to some of the most common questions property managers are asking about dog poop DNA testing, costs and service considerations. Request Quote or Proposal Looking for dog poop management solutions? Request a more formal quote or proposal based on your property and individual needs. 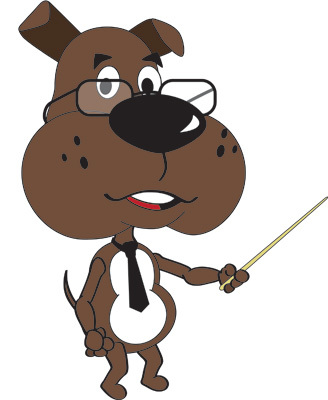 Training and Help Videos and resources to guide property managers and program users through all the processes from planning the program to swabbing to collecting dog poop to fining guilty residents. CRIME LAB® & Mr Dog Poop's DNA Services are Available in All of the Continental 48 States! 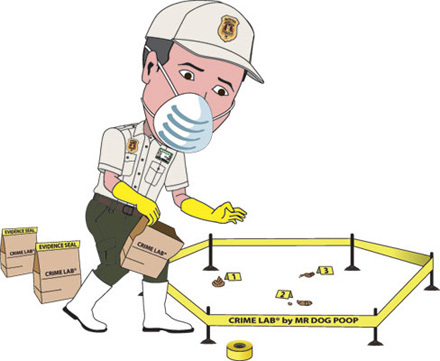 What Is Mr Dog Poop's® CRIME LAB® Dog Poop DNA Service? Mr Dog Poop Inc is a fully licensed and insured company providing dog poop solutions to commercial and private properties from our offices and "Dog Poop DNA Lab" in Tampa Florida. Originally opening as a pooper scooper service picking up dog poop in local residents yards the service has now transitioned into a national leader in commercial dog poop management programs. We now supply Dog Poop DNA Kits to properties across the USA in 48 states. We ship our complete Dog Poop Management Systems daily to match dog poop with the owners that failed to scoop. Property managers now have the ultimate tool to enforce their dog poop clean up policies. We have made DNA technology affordable and accessible to all communities. Call us today to find out how you can get started with no hassle, no set up fee, no cost for kits and pay us just $34.95 for each dog that needs to be tested and registered in our CRIME LAB® database. Don't let that dog poop pile up in your yard, it is unhealthy for your pet and people while making the neighbors very angry if not sick. The rain and weather will wash away dog poop over time creating health hazards and poluting the environment, so disposal is always an issue and most commonly required by law. Why pick up the poop? Wont the rain wash it away? If you don't think dog poop is a problem, read "Why you should pick up dog poop". Get started for $0.00, we supply eveything you need FREE! Our Gradual Integration Method allows apartments to register/test only the new residents moving in or the current residents when they renew their lease. For those looking to eliminate the dog waste problem completely we offer our Crime Lab® Dog DNA Fingerprinting service. Crime Lab® is a database of registered pets that can be matched later against deposited poop piles at apartment complexes, condos and other shared properties. 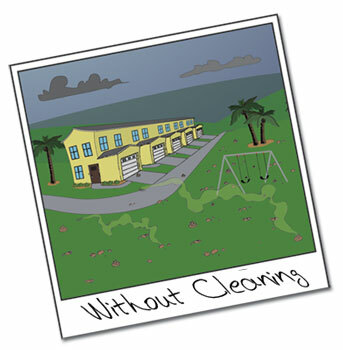 This is the easiest way to enforce cleanup rules and is quickly being adopted by many apartment complexes and property managers. We work with property management and pet owners to collect DNA samples in the most convenient way and at the lowest possible cost. You Already Know Poop Is Bad! Would you let your children swim in your septic tank? Then why let your children and pets run and play in a yard littered with feces, bacteria and parasites? For municipalities we offer our DOGdex ID® program using DNA Genotyping technology to create a custom DNA profile for each registered dog. Every dog's DNA is converted into digital fingerprint so we have the ability to identify every dog in the database. When dogs are found, locating the owner is now no problem even when an ID collar is lost or an RFID chip record has not been updated. 1.2 million dogs are euthanized every year because they cannot be returned to their owners, the DOGdex ID® program solves that problem once and for all, trims operating costs for shelters and saves dogs lives. The list of benefits to municipalities is extensive and it can be implemented at NO COST with a positive cashflow from day one. We have created the perfect program to save dogs, generate revenue and even support law enforcement efforts. Read more about the DOGdex ID® and our Return Lost Dog programs for municipalities. Recently working with teachers in an elementary school 1200 miles away in Granville Michigan, we were able to do lab demonstrations via Facetime and show students how we get the DNA from poop in real time. This experience and the idea of bringing our DNA lab into any classroom across the country made us realize how fun this could be for young students. After all, kids love poop! So what better way to introduce them into micro biology than by using dog poop. As a result we are working to build an educational program around that concept where students will be able to interact with our lab techs and learn about DNA science as they work. Teachers, imagine as your students work through the very same processes we use and being able to interact with real scientists, ask questions and see live demonstrations. We love the concept and have dedicated resources to making this idea a reality and allocating time where schools will be able to schedule those time slots to work with our team. Whether it is elementary students or high school students, we will have a program outlined to make it fun and educational. We are working on the technology and we are hopeful that we can launch this program sometime next year. Mr Dog Poop® offers the most comprehensive and affordable dog poop DNA program available in the United States. Working with communities to bring forensic science to their doorstep and catch those pesky poopetrators that are leaving dog poop everywhere. If the FBI can use DNA technology to enforce the law, why can't HOAs, COAs and Property managers? Well, up until now, it was just too expensive, but Mr Dog Poop has changed all that with $0.00 start up costs and just $34.95 for each dog's DNA test. MR DOG POOP® did not invent DOG POOP DNA TESTING, We just made it affordable!